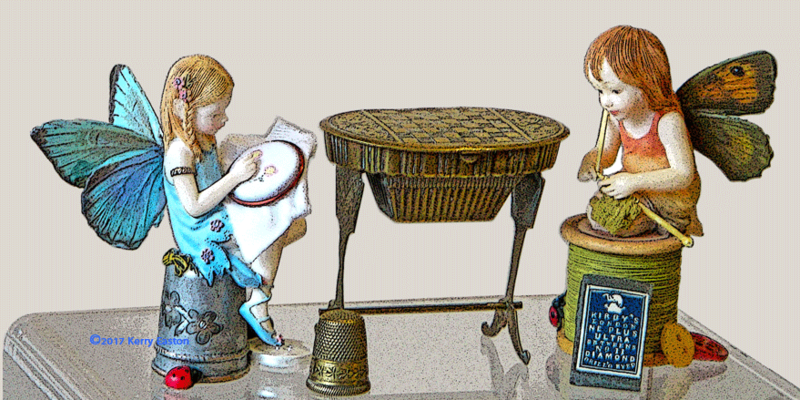 The Needlework Tool Collectors Society of Australia aims to increase knowledge of all (current and antique) needlework tools and the skills they supported. Our group holds meetings regularly in Adelaide, Melbourne, and Sydney, and offers library and newsletter services to our members throughout Australia and in other countries. Meetings usually include a presentation on specific needlework tools, a research theme such as chatelaines, work boxes, etuis, thimbles, knitting tools, halfdolls, sewing birds, needlecases and more, or on types of needlework including antique textiles. We also have a show-N-tell session in support of the presentation or theme for the day, refreshments, and occasional sales tables. Other activities include workshops and site visits, and help in identifying obscure needlework tools and curiosities. Curious about the pictures on this site? At the moment many are examples of antique pieces that are favourites among collectors, plus reproductions and modern pieces too. Above is an Avery brass needle-packet holder in the form of a worktable c1876. You can contact the NTCSA by email to get more information about our activities or about membership - the details are on our Contact page, or email secretary @ needleworktoolcollectors.org (remove the spaces). Download a Membership application here.